Like videogames? Like cake? Of course you do. We all do. Wanna lazily flick through a list of awesome, mind-blowing, delicious cakes that are all based on, or inspired by, some of the best games ever made? Yeah, of course you do. We all do. You’ll see it all here. Mario, Minecraft, hey maybe even a bit of Doom? Who knows! Just relax, sit back, and enjoy this list. 3. 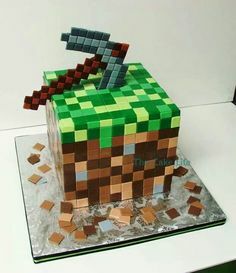 Minecraft cake complete with a pickaxe! How cool! 4. This Pip-Boy cake will prepare you for the apocalypse! 5. A GTA cake to steal your appetite! 6. Here’s a mind-blowing World of Warcraft cake! 8. Here’s everyone’s favourite robot, Claptrap! 9. This Halo cake will inspire you to finish the fight! 10. 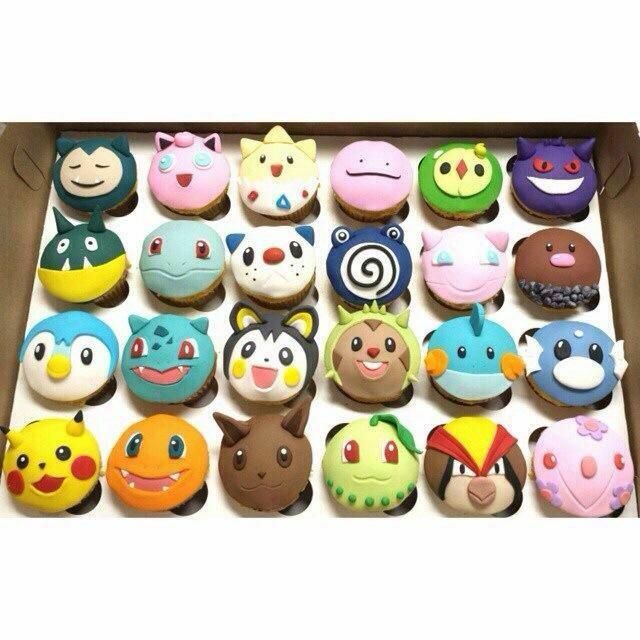 Instead of one big pokemon cake how about loads of little ones!? 12. This stunning Zelda cake will surely make you want to revisit Hyrule! 13. And how about an old-school Atari cake? 15. Told you there’d be a Doom cake! And it’s awesome.